Master Distiller Richard “The Nose” Paterson, very much at home at The Dalmore distillery in Alness, overlooking The Black Isle. Last month I had the opportunity to visit The Dalmore‘s distillery in the Highlands of Scotland. As well as having a chance to see The Dalmore’s water source, miss a few clay pigeons, and tour the distillery itself, I also had the extreme honour of being taken through an in-depth tasting of much of the Dalmore range by their legendary Master Distiller Richard “The Nose” Paterson. 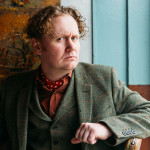 With some five decades in the industry, Richard Paterson is a truly legendary figure, cutting a particularly Scottish swathe in his immaculately tailored suits, ties and pocket squares. In so many ways he IS Dalmore. And this is no bad thing, as there is a solid argument that man is the guiding hand when it comes to such matters… one that Paterson fully embraces. 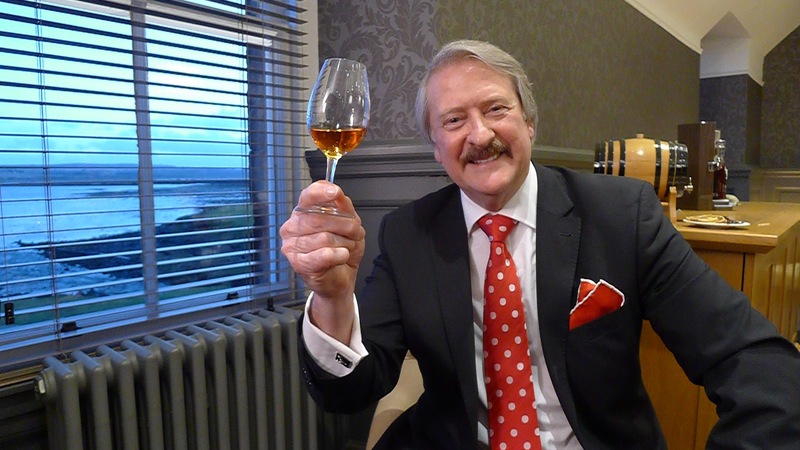 As well as being the proverbial fountain of knowledge, Richard Paterson is also an extremely charismatic gentleman, with some of the finest of tales concerning the art of what makes for a great malt whisky. In both presentation and conversation he certainly doesn’t pull any punches, something remarkably refreshing in the world of premium spirits. He is a true joy to speak with, and a terrific ambassador not only for The Dalmore, but for Scottish Whisky on the whole. A few weeks back I also gave a rather glowing review of The Dalmore’s 18 Year. Edinburgh-born/Toronto-based Sommelier, consultant, writer, judge, and educator Jamie Drummond is the Director of Programs/Editor of Good Food Revolution… And those over/under shotgun recoils left him with some serious bruising.